Attack Squadron 106 began as Bomber-Fighter Squadron 17 (VBF-17) at Agana Air Field, Guam on January 11, 1945. One month later, flying F6F-5 Hellcats, VBF-17 embarked onboard USS HORNET (CV 12) to participate in combat operations against the Japanese. Operations included strikes against Tokyo, Iwo Jima, and Okinawa as well as the first major air strikes against the islands of Kyushu and Shikoku. In late 1946 the squadron moved to NAS Norfolk, VA, was redesignated as Fighter Squadron Six Baker (VF-6B) and began flying the F4U-4 Corsair. Redesignated again in July 1948 as Fighter Squadron 62 (VF-62), the squadron transitioned to F8F Bearcat aircraft. In August 1950 the squadron received F2H Banshee aircraft and moved to NAS Cecil Field, FL. VF-62 officially became the “Gladiators” on April 16, 1952. Combat action in the Korean Conflict came in 1953 from the USS LAKE CHAMPLAIN (CVA-39) when the Gladiators were tasked with striking key bridges on the Korean mainland. The squadron was redesignated as Attack Squadron 106 (VA-106) in March 1955 and received F9F-8B Cougar aircraft later that year. 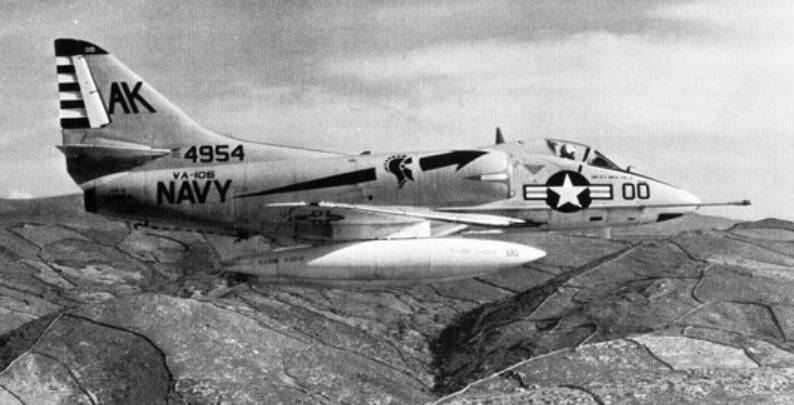 In June 1958 the transition was made to Douglas A4D-2 Skyhawks. 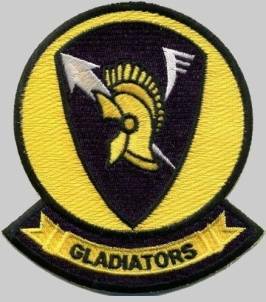 During the ensuing peaceful years the Gladiators participated in various Atlantic Fleet exercises and numerous Mediterranean cruises onboard USS ESSEX (CVA 9), USS SHANGRI-LA (CVA 38) and USS SARATOGA (CVA 60). These years of training concluded on July 17, 1967 as the Gladiators launched into combat over Vietnam from the deck of the USS FORRESTAL (CVA 59). VA-106 returned home in September 1967 for a brief turnaround prior to deploying onboard USS INTREPID (CVA 62) in June 1968. 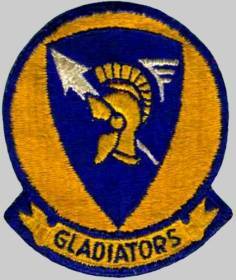 The Gladiators remained on station flying combat missions into Vietnam for over 6 months before returning home in February 1969. The squadron was decommissioned on November 7, 1969.